CANCUN — Club Med has made an official request to expand its operations in Cancun. The General Directorate of Environmental Impact and Risk received the expansion proposal, which is under review. According to the Official Gazette of the Secretariat of Environment and Natural Resources, Club Med through the company Villa Blanca SA de CV, requested authorization from Environmental Impact (EIS) for the project. The project, if approved, will consist of building 60 more rooms, adding a restaurant and the rehabilitating existing buildings. Other features would include open areas for sunbathing as well as green space, vehicle circulation, a swimming pool with showers, and stairs to the beach for lounge chairs and palapas. It would also see the hotel’s Tourist Complex Club Med updated, a club that was built back in 1975 during a time when the current ecological laws did not exist. 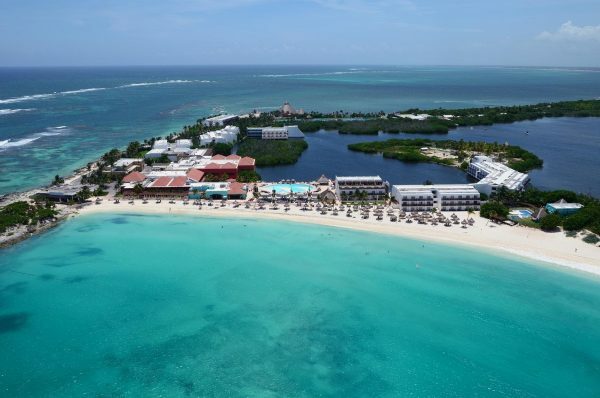 Club Med estimates that the 6,587-square-meter expansion will cost 8 million Euro, an investment into the Spanish Club Med Cancun chain.